Field Notes: Filed Notes Guest Blog: 3AW's Personality Pete! Filed Notes Guest Blog: 3AW's Personality Pete! Today we've got a guest blog from self-proclaimed fountain pen lover - 3AW's Personality Pete - on just why fountain pens and world class paper are a passion of his. Without further ado, here are Pete's thoughts on these icons: paper & ink. "Some people just don’t understand it. People still use fountain pens? They still carry ink in a small bottle and dip the nib of their pen in the bottle and fill it? They then wipe the nib with a tissue to get rid of the residue? Trust me - it’s one of life’s great pleasures. I do it everyday. I choose between my fountain pens like my wife chooses what jewellery to wear. Shall I take the Parker 75 with the fine nib, or maybe the chunky Lamy Safari with the italic nib. If it’s a formal function maybe my Mont Blanc would be more appropriate or if I am heading to the footy maybe I should grab my Lamy Safari in royal blue and white (I made it out of two pens). On any given day I could use 4 or 5 different fountain pens. I usually carry up to ten in my briefcase. 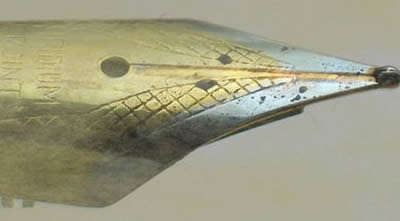 The feel of a fountain pen nib gliding across paper is just such an amazing feeling. There is not a machine in the world that can make two nibs identical. 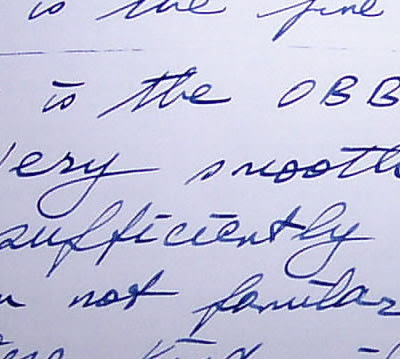 Every nib has its own personality and, as such, is a different writing experience. Get yourself a fountain pen – you don’t have to spend a fortune. Then begin the bigger search for pads and notebooks that like your pen. No more will you be able to write on those cheapo pads you buy from one of the discount department stores. You will become a choosey pad person looking for something to complement your fountain pen. Something made of paper where the manufacturer was as fussy about quality as the company that made your fountain pen. Look no further. For several years now I have been importing my own pads and notebooks for the US because the brands I love weren’t available here. That is an expensive task because not only are the pads expensive, I had to add the shipping costs. My justification to my wife was simple – I don’t drink or smoke so this is my hobby. She bought that. But now I can buy locally. 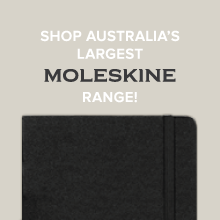 Thanks to NoteMaker, Rhodia and Clairefontaine pads and notebooks are available here downunder. This was almost as exciting to me as 1975 when my beloved North Melbourne Football Club won its first premiership. Rhodia and Clairefontaine have a great story about a family company in France that is dedicated to producing quality stationery for around 90 years. 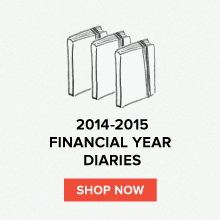 Treat yourself and grab a notebook or pad from either range. If you use fountain pens or gel pens then you are about to have one of life’s great writing experiences. If you use pencils or ballpoints then you will also have an exciting time feeling the ease with which your choice of writing stick just glides across the paper. Get excited about a company that prides itself on excellence. Rhodia and Clairefontaine products ooze class. The writing experience makes the investment worthwhile. You’ll love them. 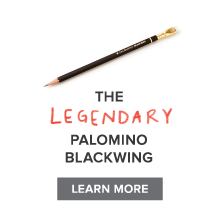 If you have an interest in fountain pens then check out the Fountain Pen Network. I’m inkypete – you’ll find me in there somewhere, as well as heaps of information on fountain pens, paper products and all things associated with fine writing. Trends in the Field: Rhodia Love!